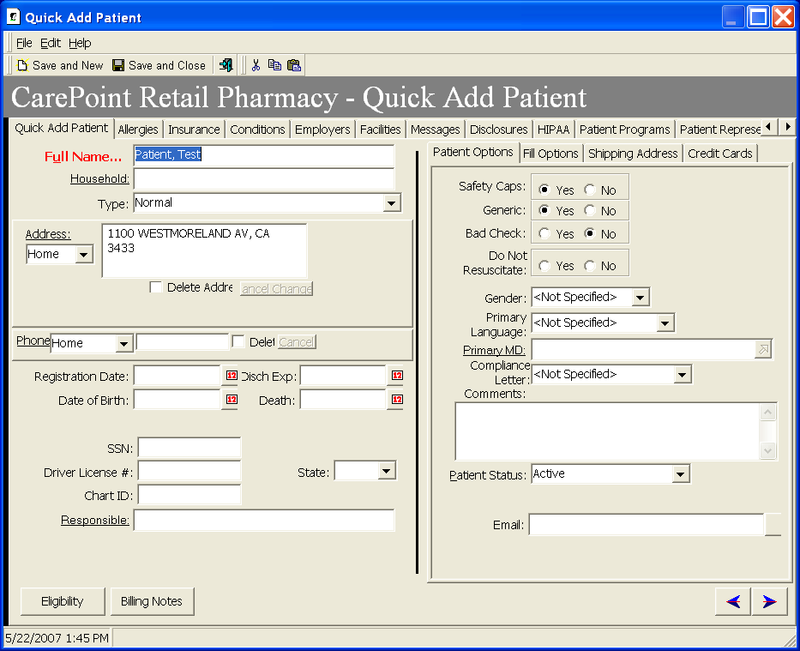 In order to use the Part D patient eligibility functionality enter the patient’s name, social security and date of birth information in Quick Add Patient. Next, set up a third party plan. 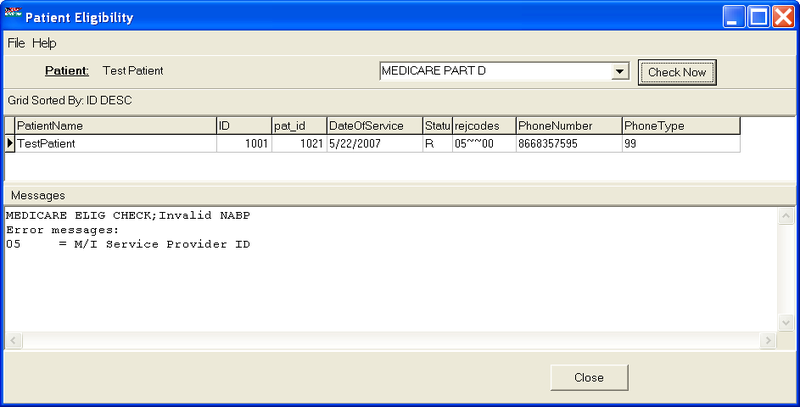 Name the plan something that is easy to recognize as a Part D plan, for example Eligibility or Medicare Part D.
When setting up the Part D Eligibility organization ensure you replicate all fields as shown above. To check Patient Eligibility go back into the Quick Add Patient, and click on the Eligibility button located on the bottom left. 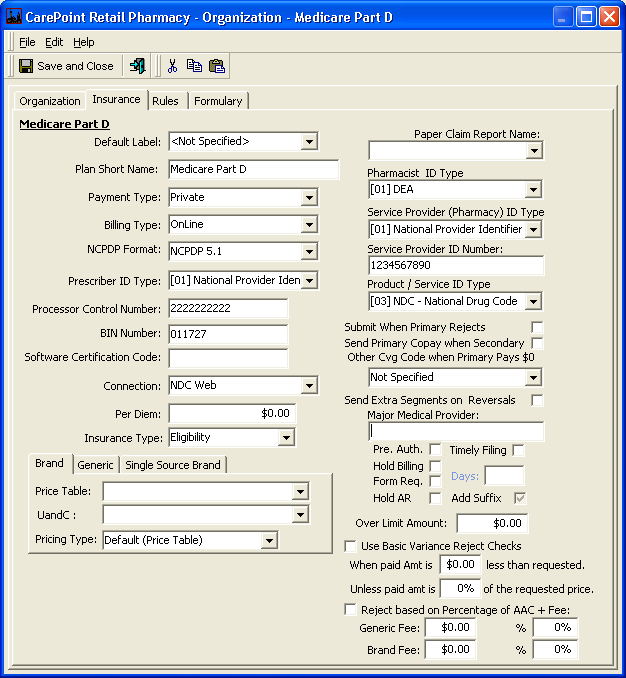 Ensure the Part D organization is in the drop down menu and click the ‘Check Now’ button. The system will check this information and return the appropriate information in the Message area below.